If you are planning a spot of team building in and around the UK & Ireland , you might find that working out the locations and logistics, as well as the activities themselves, puts in-house organisers under unnecessary pressure. Northern Ireland lies in the northeast part of Ireland and is continually growing and developing into a stunning back drop for city centre and outdoor events. The selection of venues are laden with history and culture and are renowned for their warmth of a warm welcome, good food, hospitality and spacious rooms. 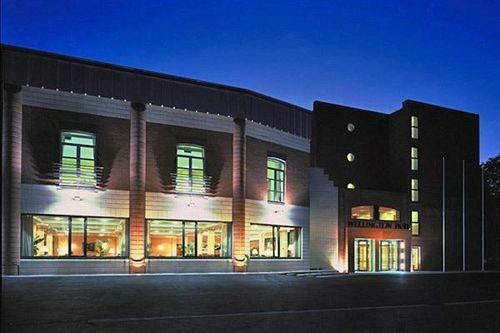 Today, the Wellington Park is an extremely popular hotel amongst conference organisers and city breakers alike, renowned for its state-of-the-art conference and business centre as well as its trendy Arts Café lounge, chic restaurant and elegant bedrooms. We have the largest ground floor lounge in Belfast designed specially for conferences meaning that this is the perfect venue for Indoor Team Building as well as Evening Entertainment. When it comes to conferences and meetings, the Wellington Park Hotel has an unrivalled location. The Hotel has 13 meeting rooms, ranging in capacity for 2 to 300 delegates. All meeting rooms are fully supported with free Wifi, comfortable seating and modern audio visual equipment. This bright, spacious, comfortable lounge with the latest wireless technology will allow you to complete your business conveniently in a lovely, relaxed environment. Surrounded by an international array of bistros and restaurants... we are only minutes from the Waterfront Hall, the Odyssey, the Kings Hall and all airports and train stations.